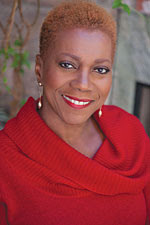 The internationally acclaimed jazz vocalist, Carmen Lundy will perform at the 42nd Annual Lakeland Community College Jazz Festival this February. The festival will also feature a Big Band Spectacular featuring two big bands – the Lakeland Civic Jazz Orchestra and Case Western Reserve Big Band. Additionally, Columbus based sax sensation Dan White Sextet will open the festival. The weekend is also a highlight for the jazz education community in Northeast Ohio and features performance and adjudication of regional high school jazz ensembles.